Antimicrobial super stewards from the pharmacy and medical laboratory must work together if we are to optimize existing systems and produce the best chance for saving antibiotics from antibiotic resistance. This article discusses perspectives form the pharmacy and the medical laboratory. It is posted with permission as an encore presentation from www.IC.tips and the original article is available here. Approximately 1 in 25 patients hospitalized in a U.S. acute care hospital has at least one healthcare–associated infection (HAI), adding up to over 700,000 infections annually. Pneumonia and surgical-site infection are the most common infection types, with Clostridium difficile as the most common pathogen. The World Health Organization has stated that by 2050, antibiotic resistance and HAIs will have a global economic impact of up to 100 trillion USD and 10 million deaths. If this prediction comes true, that will be one new antibiotic resistant infection every three seconds and it will exceed cancer mortality. Antibiotic resistance infections already kill more than HIV and H1N1 influenza combined. Infection control and antimicrobial stewardship are identified as two key measures that can address this global problem. This commentary will discuss how the pharmacy and the medical laboratory professional may be considered the Super Stewards of antibiotic stewardship. England Journal of Medicine used 2011 data from 183 U.S. hospitals to estimate the burden of a wide range of infections in hospitalized patients . That year, an estimated 721,800 infections occurred in 648,000 hospitalized patients. Nearly 75,000 patients with a HAI died during hospitalization. The most common HAIs were pneumonia (22%), surgical site infection (22%), gastrointestinal infection (17%), urinary tract infection (13%), and bloodstream infection (10%). The most common germs causing HAIs by rank were C. difficile (12%), Staphylococcus aureus, including Methicillin Resistant S. aureus (MRSA, 11%), Klebsiella (10%), E. coli (9%), Enterococcus (9%), and Pseudomonas (7%). Klebsiella and E. coli are members of the Enterobacteriaceae bacteria family, which has become increasingly resistant to last-resort antibiotics known as carbapenems, typically referred to as “carbapenem resistant Enterobacteriaceae” or CRE for short . Practically, what this means is that over 200 patients will die the day you read this article and every day until the global community is able to address this healthcare crisis. If you do the simple math you will realize this results in about 4% of hospitalized patients who developed one or more HAI due to the care received in the hospital and of those, about 75,000 died during their hospital stay each year in the United States from a HAI. Imagine a jet airliner going down every day in this country and the general public accepting it without much notice. In response to the growing threat of antibiotic resistance there are several key tools identified as having the potential to impact current trends. These include measures for infection control (including environmental services / hygiene specialization), antimicrobial stewardship and diagnostic stewardship. When it comes to antimicrobial stewardship, pharmacists are recognized as being critical contributors. When it comes to diagnostic stewardship, medical laboratory personnel are identified as critical contributors . As these fields of stewardship evolve, it becomes ever more apparent that they go hand-in-hand, and thus is the reason why pharmacy and medical laboratory personnel are star-crossed super stewards who must work together to help save antibiotics. Pharmacy students spend a great deal of time studying and learning advanced chemistry, math, pharmacology and other science topics. However, during school it can be hard to identify what the future will hold after mastering this vast content. There are many areas of practice a pharmacist can enter (e.g., hospital, community, industry) and within those areas there are a variety of specialty areas (e.g., cardiology, critical care, family medicine). Which information will really help them in their career? That is nearly impossible to say, except when it comes to antimicrobials. After being a pharmacist for nearly 10 years I can attest that regardless of the practice setting and specialty a pharmacist enters, some knowledge of antimicrobial pharmacotherapy is required and for many they will be a go-to resource for such information on a daily basis. In pharmacy school I thought I would eventually end up working as a community pharmacist at a Wal-Mart in Connecticut, but after a slew of unpredictable (yet fortunate) life events, I ended up as a clinical infectious disease pharmacist in Florida. I have worked with many pharmacists, physicians and nurses in my career but one group that I always thought was a surprising group to find myself interacting with were the people from the medical laboratory. As a pharmacist I am interested in finding the right drug at the right dose for each patient in the management of his or her medical problem. As it turns out, with infectious diseases, the information that the medical laboratory provides is critical to making these decisions. From the kidney function to white blood cell count to preliminary culture results to a final sensitivity panel, we pharmacists (and the medical teams) rely on the medical laboratory for information critical to patient care decisions. Infectious diseases pharmacists are frequently the lead person within healthcare systems in the management of antimicrobial stewardship programs and these pharmacists have emerged in the last decade as major leaders in this regard. In optimizing systems it is apparent that interaction with medical laboratory personnel is required in order to enhance existing services and provide timely, accurate and easily understandable information to medical providers. While pharmacists get little (if any) education on the happenings of the medical laboratory during school, it turns out many of us need medical laboratory help to do the best job possible. One example where antimicrobial stewardship and the medical laboratory are critical towards each other is with the use of molecular rapid diagnostic tests. These tests can provide results much faster than historical laboratory techniques, but the data produced from them may be confusing and need to be supported by computer systems which help direct providers to make the appropriate clinical decision. Recently in 2017, Timbrook et al. published a systematic review and metaanalysis of the effect of molecular rapid diagnostic testing on clinical outcomes in bloodstream infections in the leading journal Clinical Infectious Diseases . A key finding in their work is that a lack of interaction between the lab and stewardship program resulted in a failure to demonstrate a benefit when using these tests. This is just one of many examples where these two “super stewards” needed to collaborate with each other. If we are going to make the necessary efforts to save our antibiotics through antimicrobial and diagnostic stewardship the medical laboratory and pharmacy groups are going to need to work together. While we may never have planned to work together and the dynamic in the laboratory may be far different than that of the pharmacy, these two groups must become close allies in order to support measures aimed at saving antibiotics and curbing current trends which threaten human health. In 2014, I wrote an article for Elsevier Connect entitled “The Hidden Profession that Saves Lives” . The article has helped the medical laboratory profession to become less hidden. People often think their medical laboratory tests are done by their doctor or nurse, like it’s done on House, or Dr. Kildare or Grey’s Anatomy. In fact, you would probably not want your personal physician to do your laboratory tests, because the specialized skills required are not an integral part of the medical school curriculum. Formal coursework training in medical laboratory testing comprises a small portion of the curriculum for physicians, nurses, pharmacists, physical therapists, occupational therapists, and biology graduates. However, for medical laboratory scientists (MLS) and medical laboratory technicians (MLT) students, medical laboratory theory for all 1,000+ available lab tests, sources of interference, and connections between test results and diagnoses is the main focus of their studies. Ask your physician, nurse, pharmacist or biology graduate about Vitamin C acting as interference in glucose and triglyceride testing, causes of false positives in pregnancy testing, World Health Organization (WHO) classifications for Hodgkin disease and diagnostic criteria, ways to test for swine flu (H1N1) and avian flu (H5N1), genetic testing modalities for cystic fibrosis, who is most likely to show antibodies to Kell during a STAT emergency test for life-saving blood in surgery, or any other critical laboratory test and its interpretation. These aspects of laboratory testing are generally not part of the body of knowledge required for any of these medical professionals, and yet it is completely in ours. Medical laboratory testing is the most critical component to a patient’s medical outcome, including the diagnosis of an antibiotic resistant infection. In fact, I preach to my students, colleagues, and anyone in healthcare or the general public that there are two things I want them to remember if they believe they have an infection. First, ask (or demand) that your physician order a diagnostic confirmatory laboratory test to identify your infection before they prescribe you an antibiotic, whenever possible. In most cases, no one (not even your physician) can tell you with certainty that you have a bacterial infection without a confirmatory laboratory test. You may have a viral illness, an allergy, or some other type of immune reaction that is NOT being caused by a bacterium. If you do not have a bacterial infection, an antibiotic is wrong for you. Second, IF you do have a bacterial infection, then be sure the provider orders an antibiotic susceptibility test when possible. This complex laboratory test will determine the susceptibility profile for the bacteria. It is JUST AS IMPORTANT as finding out you have a bacterial infection because it will let the physician and pharmacist know exactly which antibiotic(s) to use. 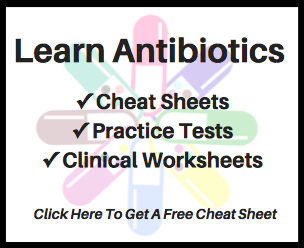 Without this information, we are all just driving the issue of antibiotic resistance and superbug creation via “survival of the fittest!” These are two medical laboratory tests you must demand! One thing I have learned in the course of having a father, father-in-law, other family and friends who have dealt with antibiotic resistant infections is that your pharmacist and especially an infectious disease pharmacist can be one of the most important people to have in your healthcare circle. As Dr. Gauthier mentions in this article, these professionals can be the difference in helping us to understand the pharmacotherapy behind your treatment. Our two professions – medical laboratory and pharmacy – have an amazing opportunity to be synergistic in how we interact as professionals to give the patient the best healthcare possible. Pharmacists are the experts when it comes to drugs and the body. Medical laboratory professionals are the experts when it comes to generating diagnostic information. It has been a natural evolution and is now just common sense that these two professions team up and take roles as “super stewards” in the fight against antibiotic resistance. Looking to the future, it is essential that our two professions continue to explore avenues that foster inter-professional education and collaboration in both the didactic and clinical practice arenas. With a second pre-antibiotic era looming, can we afford to not join forces? Appelbaum PC. 2012 and beyond: potential for the start of a second pre-antibiotic era? J Antimicrob Chemother. 2012; 67(9): 2016-8. Magill SS, Edwards JR, Bamberg W, et al. Multistate point-prevalence survey of healthcare–associated infections. N Engl JMed 2014;370:1198-1208. World Health Organization. (2014). Antimicrobial resistance: 2014 global report on surveillance. World Health Organization. Morency-Potvin P, Schwartz DN, Weinstein RA. Antimicrobial stewardship: how the microbiology laboratory can right the ship. Clin Micro Rev. 2017; 30(1): 381-407. World Health Organization. Diagnostic stewardship: a guide to implementation in antimicrobial resistance surveillance sites. Available at: http://apps.who.int/iris/bitstream/10665/251553/1/WHO-DGO-AMR-2016.3-eng.pdf. Accessed 23rd April 2017. Infectious Diseases Society of America. Promoting antimicrobial stewardship in human medicine. Available at: http://www.idsociety.org/Stewardship_Policy/. Accessed 23rdApril 2017. Timobrook TT, Morton JB, McConeghy KW, et al. The effect of molecular rapid diagnostic testing on clinical outcomes in bloodstream infections: a systematic review and metaanalysis. Clin Infect Dis. 2017; 64(1): 15-23. Rohde, R.E., Felker, M., Regan, J. et al. Healthcare-Associated Infections (HAI): The Perfect Storm has Arrived! Invited Focus Series. Clin Lab Sci Winter 2016; 29(1): 28-31. Dr. Rodney E. Rohde (@RodneyRohde) is Professor, Research Dean and Chair of the Clinical Laboratory Science Program (CLS) in the College of Health Professions of Texas State University, where he spends a great deal of time mentoring and coaching students in this sometimes mysterious and vague path. He has been recognized with teaching excellence at both Texas State and Austin Community College. Dr. Rohde’s background is in public health and clinical microbiology, and his PhD dissertation at Texas State was aligned with his clinical background: MRSA knowledge, learning and adaptation. His research focuses on adult education and public health microbiology with respect to rabies virology, oral rabies wildlife vaccination, antibiotic resistant bacteria, and molecular diagnostics/biotechnology. He has published a book on MRSA stories, over 50 research articles, book chapters and abstracts and presented at more than 100 international, national and state conferences. In 2015, Dr. Rohde received the Cardinal Health #urEssential Award as Champion of the CLS Profession, named a Top 20 Professor of CLS and received the Texas State Mariel M. Muir Mentoring Award. Likewise, he was awarded the 2015and the 2012 Distinguished Author Award and the 2014 and 2007 ASCLS Scientific Research Award for his work with rabies and MRSA, respectively. Learn more about his work here. Dr. Rohde is the current Texas Association for Clinical Laboratory Science (TACLS) President and has been involved in licensure efforts in Texas since 2007. Timothy P. Gauthier, Pharm.D., BCPS-AQ ID is a pharmacist trained in infectious diseases and antimicrobial stewardship. He is a clinician, researcher, educator, author and social media influencer. He is an advocate for antimicrobial stewardship. Dr. Gauthier graduated from Northeastern University’s School of Pharmacy (Boston, MA) in 2008. He then completed a Post-Graduate Year-1 Pharmacy Practice Residency and a Post-Graduate Year-2 Infectious Diseases Pharmacy Residency at Jackson Memorial Hospital (Miami, FL). From 2010 through 2014 Dr. Gauthier was Assistant Professor of Pharmacy Practice at Nova Southeastern University College of Pharmacy (Fort Lauderdale, FL). Since leaving academia he has been working as a clinical infectious diseases & antimicrobial stewardship pharmacist (Miami, FL). He is the founder and editor-in-chief of www.IDstewardship.com and the @IDstewardship social media profiles.